Our free Get Psyched! Excel add-in. It allows you to do psychrometric calculations and charts in MS Excel and works with both English (IP) and Metric (SI) units. 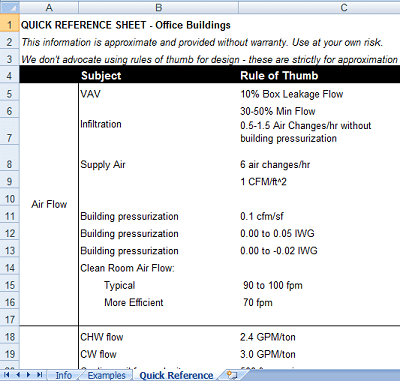 All energy engineers can use this quick cheat sheet that contains useful formulae and simple energy calculations. 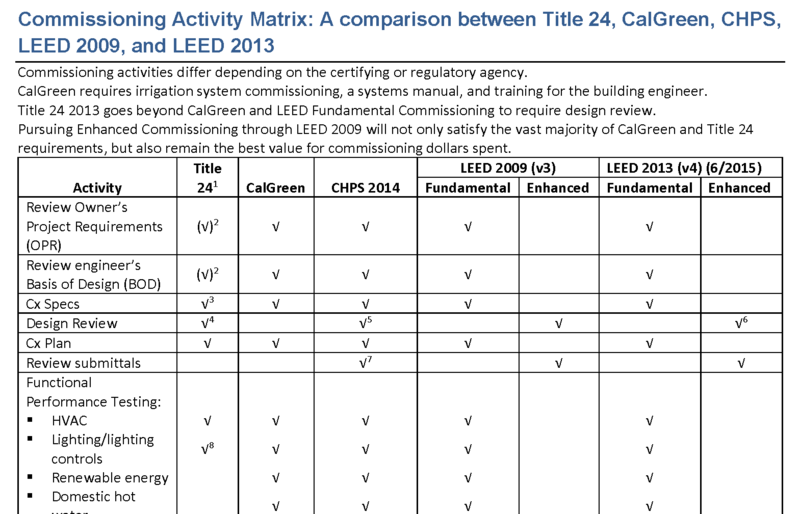 Compare various commissioning approaches (LEED, T-24, Calgreen, etc.) with our commissioning cheat sheet.